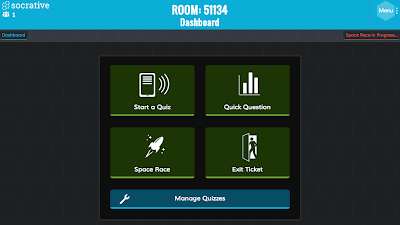 I've been a huge fan of iOS/Android/web app Socrative to replace the clickers in my classroom since the first week I had iPads in my classroom (January 2011). I've used it for exit tickets, bell-work, chapter reviews, guided practice during a lecture, reflection on learning, and even a semester final. 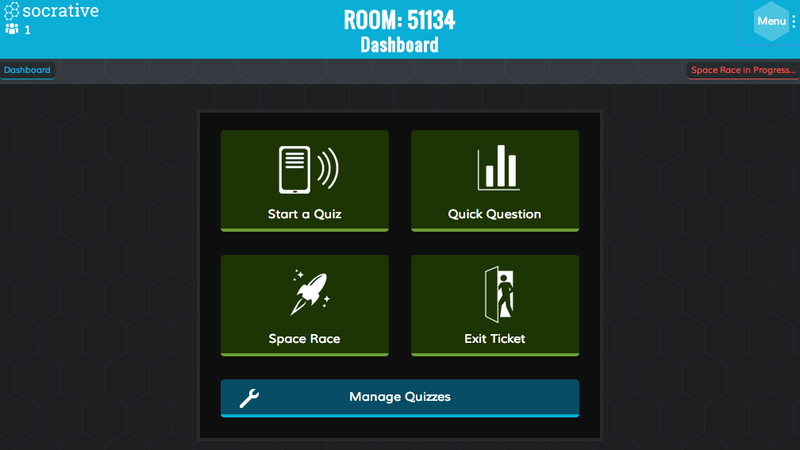 My students have ALWAYS complained that if they made a mistake or wanted to skip around, there was no "go back" functionality within Socrative. As flashy and fun as the app is, I've always leaned heavier on Google Forms to give my students that flexibility. The U/I is fresh, but there's more here than that! Rather than write anything more, I decided to run through Socrative 2.0 briefly and share some of the new teacher and student features. I last wrote about Socrative soon after the "insert image" into a question function went public, and it was much needed, but I think I even more appreciate the new student pacing options in Socrative 2.0.